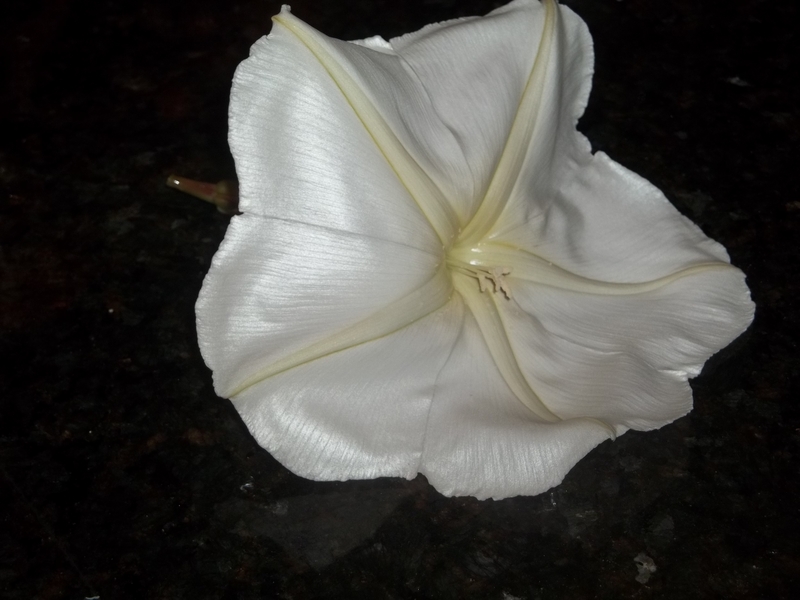 I greet morning as I see moonflowers blooming at dawn. kept watch while I dreamed. Our first cool spell is blowing in here, and we will pull out our sweaters and go outside to enjoy crisp, cool mornings this week. To be sure, we are beginning to see a few leaves loose their green and turn yellow. Our crepe myrtles and Bradford pears will give us some fall colors in their foliage. But this time of year I miss the piney woods of Northeast Texas where I grew up. Seasonal change was more pronounced there, and I loved watching for the woods to glow with Sweet Gum and the scarlet leaves of Sumac. However, I believe in enjoying what I have, and this single leaf brought me joy. Masses of even New England’s wonders and color palette are beautiful, but they are there and then. 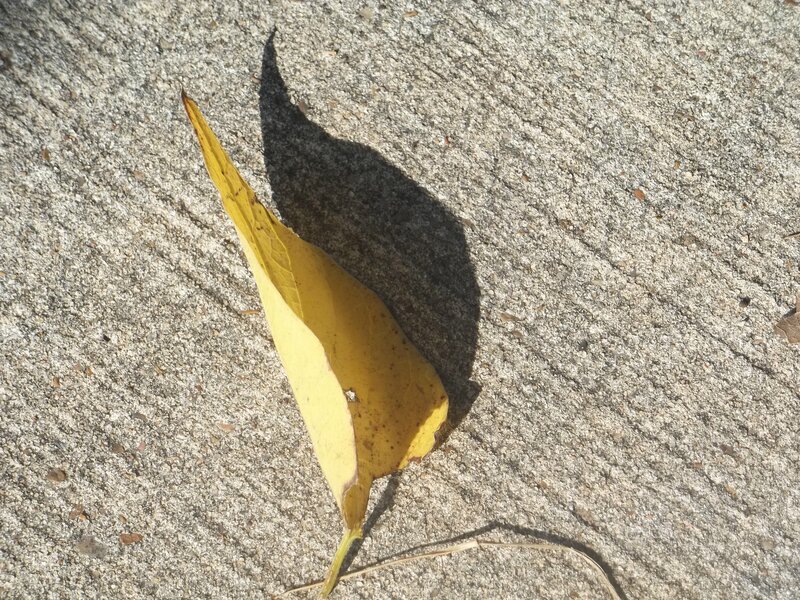 I am here and now, and so is my leaf and its lovely shadow. My friend John tells of a sign over one old English door that warns “Mind Your Head.” He says it reminds him of much more than avoiding a bump! Today, more than ever before, we are called to pay attention to what we believe, and live it. Minding and tending our heads and our hearts must be intentional. Dallas Willard says much the same.